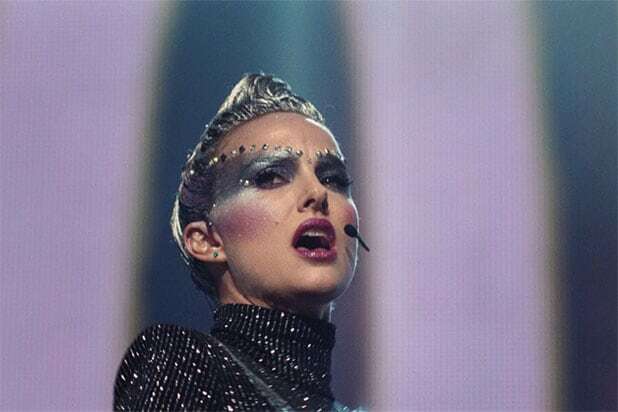 Natalie Portman is an aspiring pop star in a first-look image of Brady Corbet’s “Vox Lux,” which will premiere at the Venice Film Festival next month. The film is a 21st-century story of Celeste, played by Portman, a pop star who rises to success as a result of unusual circumstances. The project, whose title translates to “Voice of Light,” will have musical elements. Jude Law, Raffey Cassidy, Jennifer Ehle and Stacy Martin will also star in the drama. ALP’s Andrew Lauren and D.J. Gugenheim will be producing along with Killer Films’ Christine Vachon and David Hinojosa, Bold Films’ Michel Litvak, Gary Michael Walters, David Litvak and Svetlana Metkina and Brian Young from Three Six Zero Entertainment. Executive producers are Ron Curtis, Mark Gillespie, Svetlana Metkina and Law. Corbet also wrote the screenplay. Corbet’s previous film, “The Childhood of a Leader,” which followed the molding of a fascist leader at the close of World War I, took the 72nd Venice Film Festival Orizzonti Best Director prize, as well as the Luigi De Laurentiis Lion of the Future Award for a debut film.